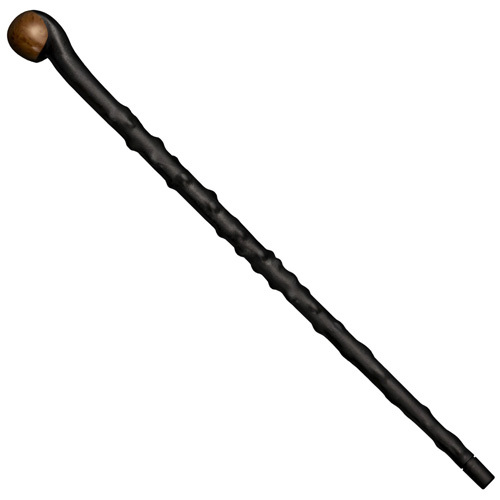 The Cold Steel Irish Blackthorn Walking Stick 91PBS is an Irish walking stick which is 37 inches long. The head of the stick is 2 ¾ inches and the thickness is one inch. The stick weighs 28.2 oz and is a little on a heavier side. This stick is made up of polypropylene, which is injected in the stick in the molten form. This ensures that the stick does not wrap, swell, or crack. This stick can be maintained with a mild wash using little water and soap; it is a low maintenance stck, does not take a lot of time and money.